Each year we look forward to taking our kids to ZACH Theatre for the fun variety of shows included in their Moody Foundation Theatre for Families Series. We can always count on comical productions, big musical song & dance routines, positive & inspiring themes for kids and theatrical adaptions of classic children’s literature. 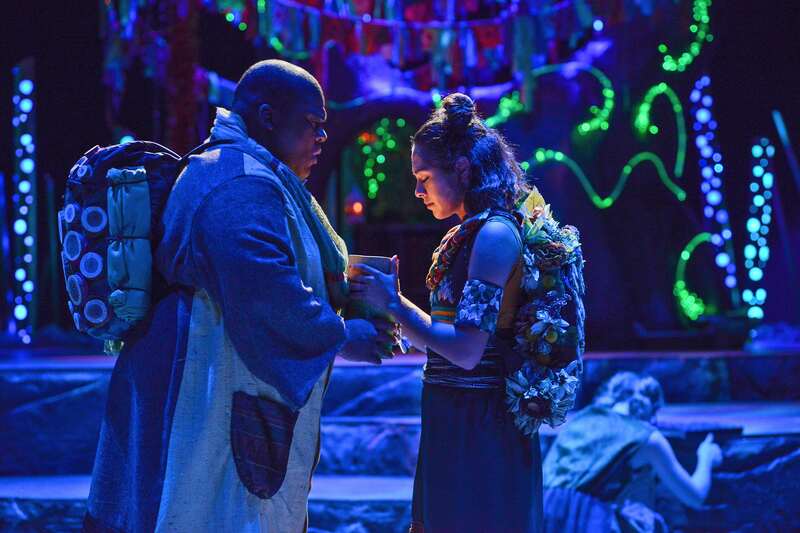 Their current production of Tortoise and Hare runs through January 27 with weekend matinees. Recommended for ages 5 & up, it’s a great family outing! 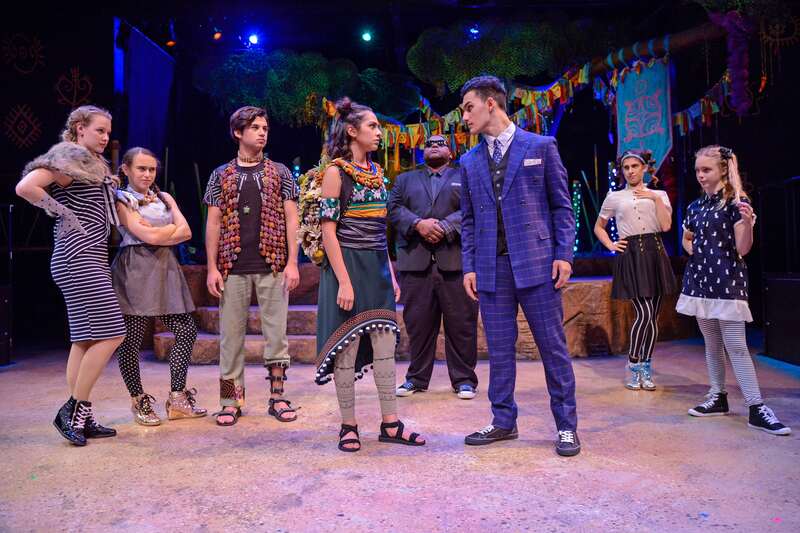 This children’s musical is written by the talented team of Allen Robertson and Damon Brown (known locally for their work as the Biscuit Brothers duo), with modern music and energetic re-imagining of the ancient fable under the direction of Nat Miller. Ancient versus modern. Peace versus war. Reptile versus mammal. We all know the story of “slow and steady wins the race”, but to be perfectly honest, we were quite moved by the impactful lessons that went way beyond the expected in this creative production of Tortoise and Hare. The show dives into rather serious themes of female empowerment, racial tensions, leadership and power in uneducated hands. The show gives a glimpse at how two cultures need to take time to understand each other before raging into anger about differences. The characters showcase impressive levels of self-determination, which leads to tremendous success that children and adults alike can cheer for. We applaud ZACH for taking on important themes, never talking down to children, and building on the fact that young people are most often best qualified to understand right from wrong. This production is not just a children’s play. It’s an amazing work that’s great for audiences of all ages. Take your middle schoolers and high schoolers, too! We think they will find it just as compelling as your elementary-aged kids. It’s an inspiring show that leaves you exiting the theater feeling lifted and encouraged, and frankly, who couldn’t use a little of that? Get to know the show’s soundtrack before you go! Click here to listen to the cast album! 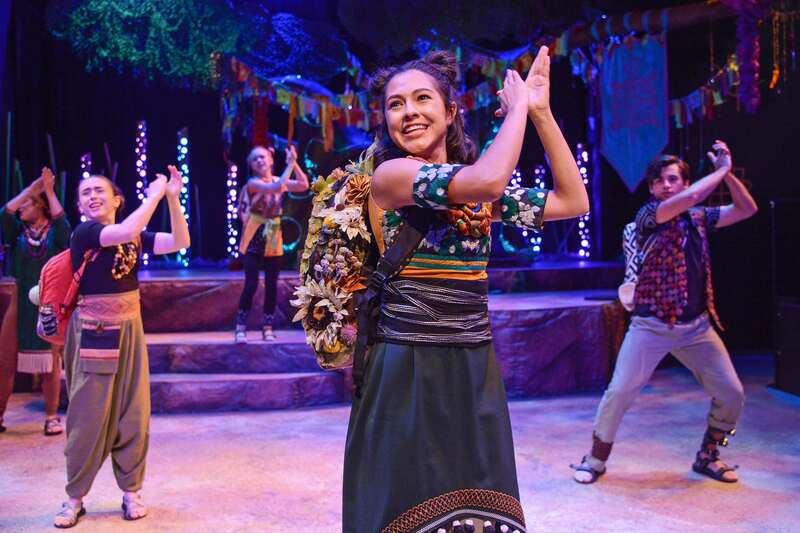 Tickets are $18 (Youth) and $24 (Adult) and are available online at zachtheatre.org, by phone at 512-476-0541, or in person at the ZACH Theatre Box Office (202 South Lamar Blvd) Monday through Saturday, 12–5p.m. Discounts are available for groups of 20 or more. –> Ticket Giveaway: We have a 4-pack of tickets to give away to the show on Saturday, Dec. 1 at 11 a.m. Enter below! Thanks to all who entered! This giveaway is now closed. Congrats to Amy W.